Take a bus journey through the heart of this rock and roll city. Sit back, relax, and enjoy tunes and tales from Them and Van Morrison, by way of awesome guitar players, traditional and folk, to punk rock and Hollywood soundtracks. The Belfast Music Tour is a journey across the city that reveals the music, the artists and the landscape that have brought character to the city. This is definitely a tour that many of your guests will want to know about! The two-hour bus trip starts at the beautifully restored Ulster Hall, home to the Ulster Orchestra and also host to Led Zeppelin in 1971 for the world premiere of “Stairway to Heaven”. The tour takes in the site of the Maritime hotel, where Van Morrison and the Them made their debut in 1964. The bus then heads south to remember the amazing career of Ruby Murray. 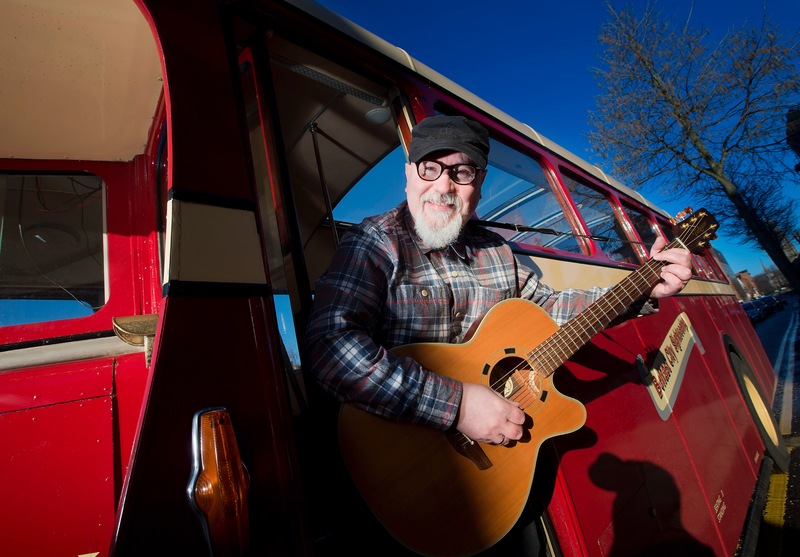 West Belfast is the home of folk dynasty the McPeake family and their timeless ballad “Wild Mountain Thyme” and also late fiddle champion Sean McGuire and Brian and Bap Kennedy. The bus then crosses the Shore Rd , former stomping ground of the flautist James Galway. 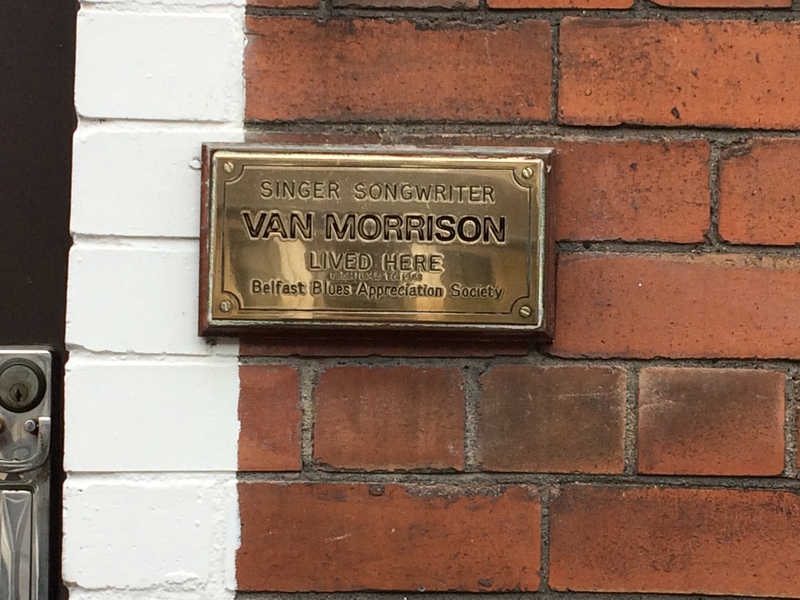 East Belfast has been celebrated in a score of Van Morrison songs – Hyndford Street and Cyprus Avenue, passing Orangefield and the six bells of St Donard’s Church and also crossing through the childhood haunts of Gary Moore. Blues talent Eric Bell and songwriter David McWilliams are also appreciated en route. The final leg of the tour takes us down Ormeau Rd, former haunt of David Holmes, who provided the soundtrack to Oceans Eleven and many other films. We pass the Belfast Waterfront, scene of a pivotal “Yes” concert in 1998 with U2 and Ash. The final moments pay tribute to the harper’s convention of 1792 and the location where The Undertones recorded “Teenage Kicks” in 1978. The tour finishes at the Oh Yeah Music Centre on Gordon Street. The tour starts at Ulster Hall at 2pm. For further information don’t hesitate to contact the Oh Yeah Music Centre on 028 9031 0845 or the Visit Belfast Welcome Centre on 028 9024 6609. The tour, authored and organised by Oh Yeah, has been rated sixth in a chart of the top ten music tourism destinations in the UK. For non scheduled private, group or corporate tours contact paul@ohyeahbelfast.com for details, availability and prices.